The president of Anthem Blue Cross of California, Leslie Margolin, has left the company, effective July 19. Margolin's resignation comes amid turbulent times for WellPoint subsidiary. Anthem Blue Cross attempted to raise rates for 800,000 individual policyholders this spring by up to 39%, causing a public outcry and congressional hearings. That rate filing was withdrawn in April after an independent actuary found mathematical errors. The Woodland Hills, Calif.-based insurer has since submitted smaller rate increases to the state insurance department, with an actuarial report expected in August. Margolin plans to lead a new state coalition of providers, health plans, employers and consumer groups called Transforming Health Care, according to a statement. 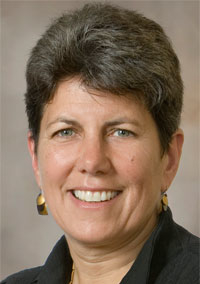 She joined Anthem Blue Cross in February 2008 and was previously senior vice president for health plan and hospital operations at Kaiser Permanente in Oakland, Calif. She took heat at a hearing of the California Assembly Health Committee in February 2010, where she defended the rate increases and refused to reveal her annual salary and bonus. In a statement, WellPoint thanked Margolin for her leadership. “During her tenure at Anthem Blue Cross, Margolin played an integral role in collaborating with hospitals and providers across the state, and has been a champion of innovative initiatives that improve patient safety and quality outcomes,” according to the statement. Mark Morgan, Anthem's vice president of small group sales, will serve as acting president on an interim basis, according to a statement from parent company WellPoint.